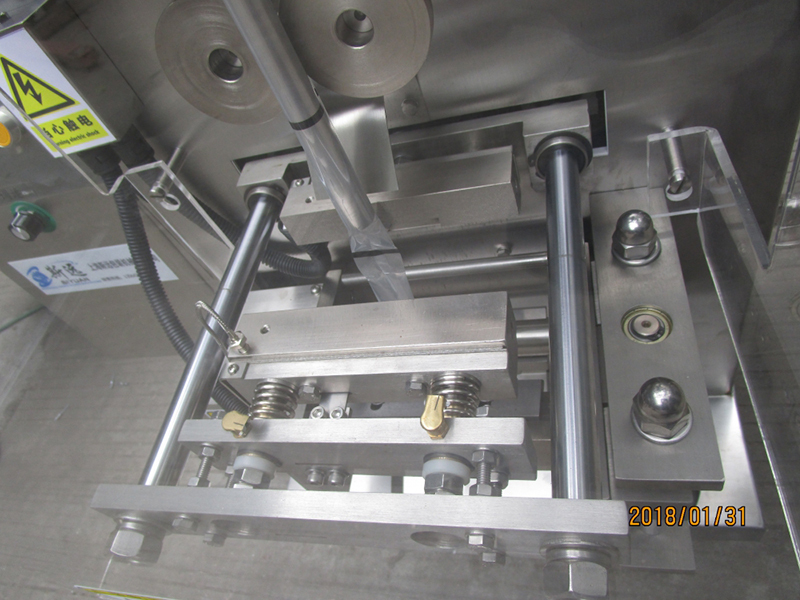 The vertical form fill seal machine is a combination of the main machine and volumetric weigher to carry out film tranport and tension, bag forming, filling, weighing, sealing, cutting, counting and other functions. 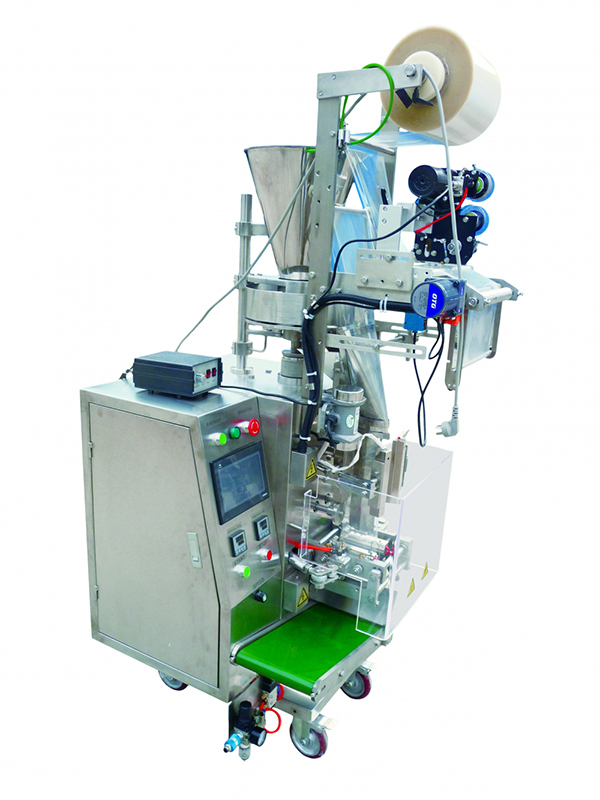 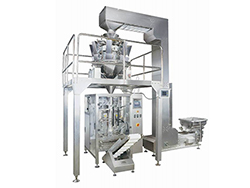 This packaging system takes advantage of volumetric weighting principles, making it suitable for packing of granules with a weight range of 0.5-200g. 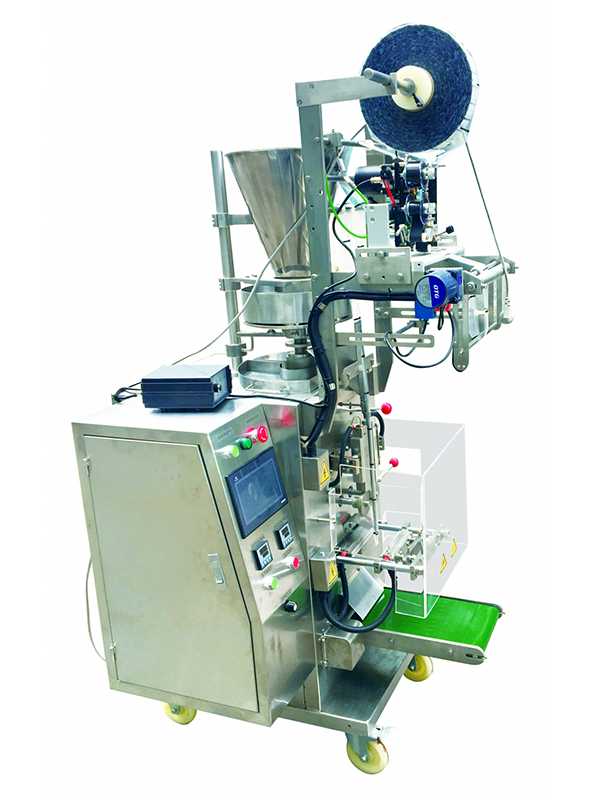 This packing machine features a mechanical drive, a simple running, and easy operation. 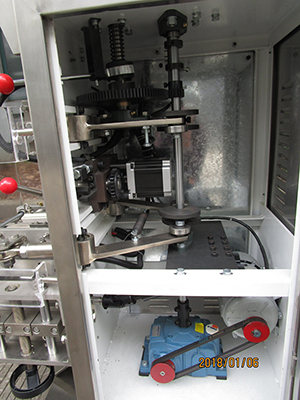 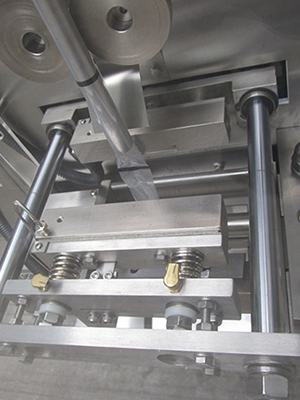 The film rolling position is also synchronously controlled by the motor. 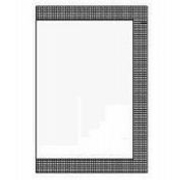 In the event of any errors, an alarm will display on the operation interface. 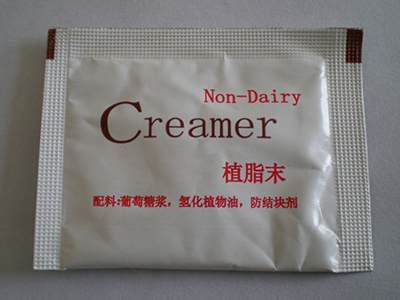 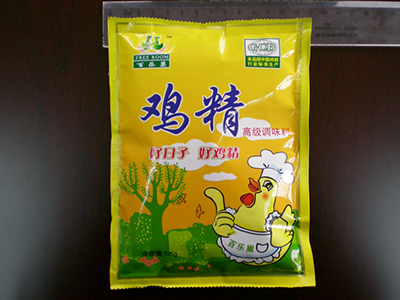 Food industry: seeds, instant coffee, soybean etc. 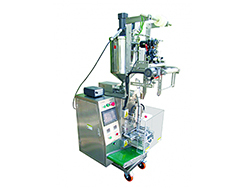 Medical industry: pill, capsule etc. 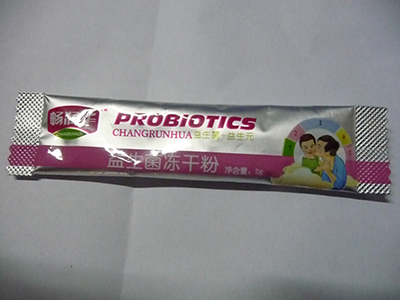 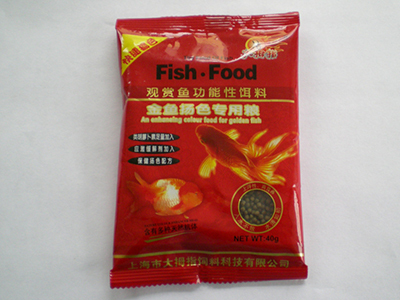 Daily chemical industry: desiccant, seeds, detergent, feed etc. 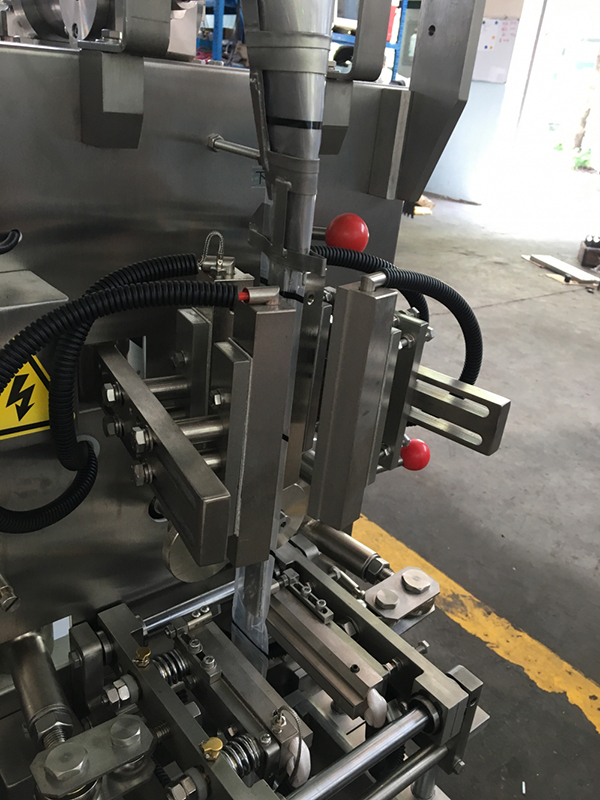 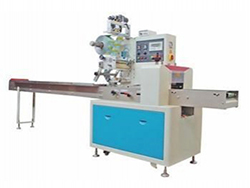 This vertical form fill seal machine uses a variety of composite membranes, such as PET/PE, Paper/PE, PET/AL/PE, OPP/PE, PET/APET/PE, BOPP/PE and more. 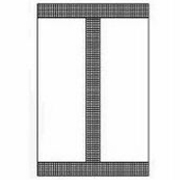 The vertical form fill seal machine has two optional cutters: serrated cutter and flat blade which can be used to produce packages with serrated edges or flat edges. This packaging machine uses a simple, intuitive OMRON PLC control. 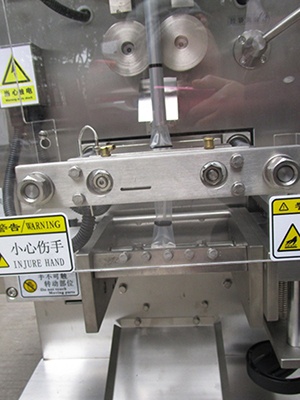 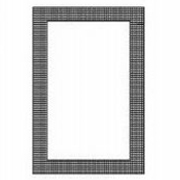 It is also equipped with an intelligent temperature control instrument to ensure a higher quality sealing. 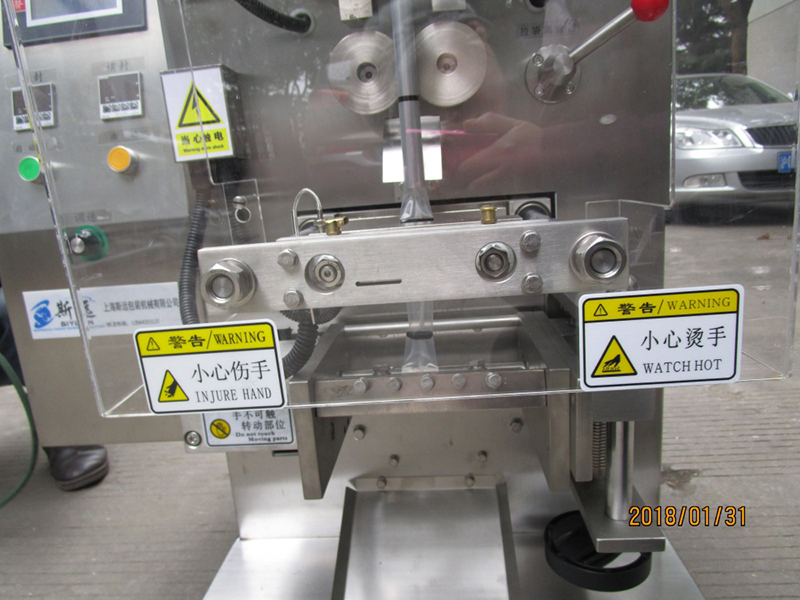 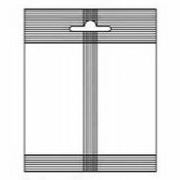 The bag length is controlled by PLC or color code tracking with an optoelectronic switch, so that the packaging length can be exchanged freely. 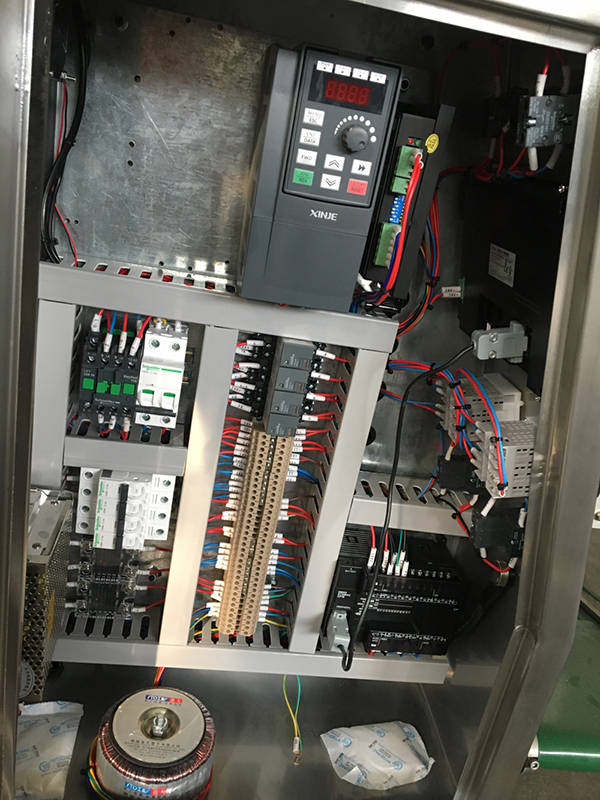 Operation is easy and saves time. 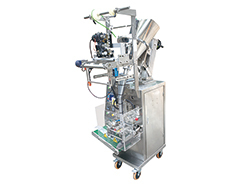 The temperature features independent PID control so the machine is suitable for various packaging materials. 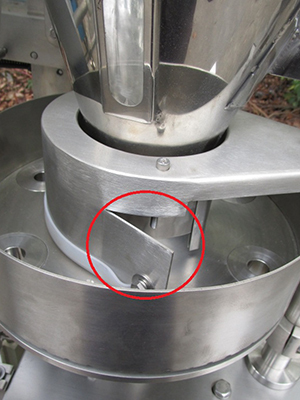 The overall structure is a smooth, easy to clean stainless steel frame.